At the moment this practice group is suspended but will hopefully be stating again soon. The EFT practice group meets in Woodgate Nr Chichester on the first Monday of every month. Meeting with like-minded people once a month gives an enormous boost and can help people to overcome blocks and problems. EFT is an amazing healing tool. We’d love to welcome you to join us whether you are experienced or inexperienced. The time is always ripe for change. Some of the top change makers in the world are shouting out the benefits of EFT from the rooftops. People like, Joe Vitalie and Bob Proctor of ‘The Secret’ fame are spreading the word. Science has proved that this is an energy Universe and the energy of thought and feelings create your world. EFT is the quickest way I’ve ever known to change the energy both within and without the body. As those of you who use this wonderful tool know, EFT can change one’s state in moments. We all have the ability to change our minds, EFT just makes it all easier to and quicker to do. Using EFT you can decide how you want to feel and what you want to happen and tap it in. It’s amazingly effective, immediate and works for everyone. Why not come along to the practice group and find out how it can work for you too. Group tapping is always an amazing experience and everyone achieves a great deal out of attending the practice groups. Do join us, no matter what your level, beginners and the curious are always welcome. No matter what your Level of EFT experience you will gain from joining this monthly practice group so come along and get fired up for success. The cost of the evening is £10 and you pay on the evening. Come along and learn how to tap away your blocks to happiness and success. 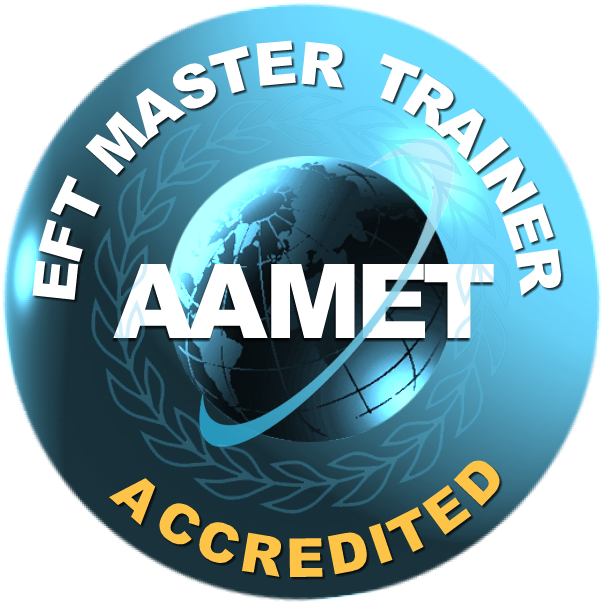 All of our EFT training is AAMET approved and Christine is a member of the GHR (General Hypnotherapy Register). The GHR is the governing body of hypnotherapy in Great Britain and all it’s registered practitioners must abide by the rules laid down by them at all times. She is also a member of the BRCP (British Register of Complimentary Practitioners). A professional Membership Register of Practitioners and Therapists who have proved their competence to practise by either completing an approved course or through an assessment made by the BRCP Registration Panel.